Today my review is about a new 10.1” tablet called: LINX 10. 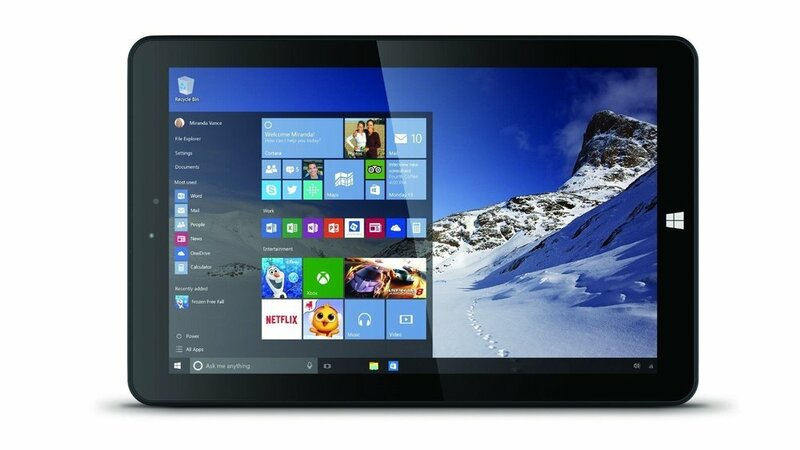 In a tech world dominated by Android and iOS, Windows is struggling with the tablet market. The Microsoft Surface is an excellent product but it never had the success of iPad or Android tablets. But something is changing and there is a new range of tablets powered by Windows. The recent decision to not charge licence fees for the new Windows 8.1 with Bing OS had a great effect on the hardware front: we have seen plenty of new and affordable laptops (Chromebook styles) and the tablet market is finally ready for Windows. 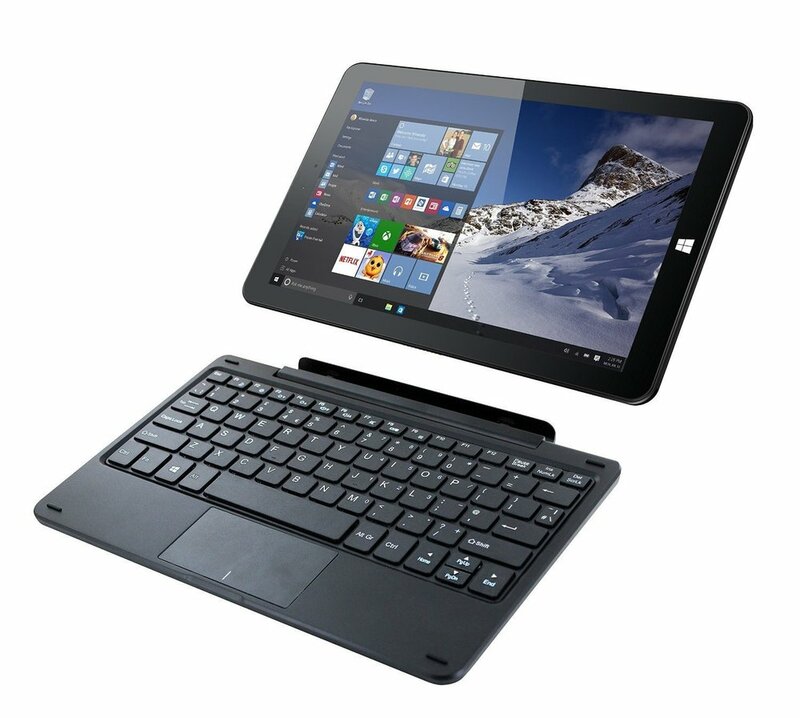 It is powered by Windows 8.1 with Bing, comes with 1 year free Office and has an incredible price: £160. The Linx 10 is probably not the best tablet (iPad Air 2 and Galaxy Tab S are superior), but without a doubt this is the best tablet you can buy for £140! Windows 8.1 makes sense with a touch screen and you will be surprised at how snappy this tablet is. The first thing you will notice when you receive your Linx 10 (check on Amazon) is that the box is really big! It could fit a 13” laptop in there, but inside there is only a 10” tablet. In the box you will find the charger, USB host cable and some useful leaflets. 2. It’s all about the look! The Linx 10 tablet is black..really black. Black bezel, black plastic back, black power button and volume rocker. If you are looking for a colourful device a la Nokia, you might be disappointed. But this tablet looks good. It’s bigger and heavier than the iPad. It’s 100% plastic but it doesn’t feel like a cheap product (like some under £100 Android tablets). It has a micro usb plug, jack 3.5 mm, micro Sd card reader, front and rear camera, and a proprietary port at the bottom (to use with the Linx Origami keyboard case). 3. Screen: Not full HD but better than some laptops. The 10.1” screen of the Linx 10 tablet is nothing spectacular. It has large bezel all around (which I don’t mind). It has an IPS display with good viewing angles. In an era of full HD display you might be disappointed but Windows 8.1 interface is very colourful. Watching an HD video on Youtube, Netflix or Hulu is a great experience and the screen is actually fine for almost everything. In fact it is better than a lot of laptops: Chromebooks, "Bing Books", and other affordable laptops. 4. Speaker: It’s just enough but don’t expect great quality! We are in 2015 and I think that stereo speakers should be in all tablets and Smartphones. Unfortunately this is not the case, and I can assure you that you won’t find any stereo speakers on the Linx 10! The speakers are not really that great and it’s just about ok for watching a youtube video. I do however recommend you use a good set of earphones! If you have a bluetooth speaker, the tablet can pair your device relatively quickly and you will be able to enjoy a good quality sound. I have the Sony BSP10 speaker and both devices work seamlessly. However please note that when I use the Sony BSP10 bluetooth speaker, the speed of the wifi on this tablet is much slower. I never experienced that with any other device and it is extremely annoying. 5. Camera: Probably one of the worst rear cameras. Do you remember the Motorola Xoom? That was my first tablet by the way! Well, let’s say the camera was better on the Xoom. The Linx 10 tablet is not good for photography, but for £160 it has two cameras. I suppose it’s good for an emergency when you don’t want to miss a photo opportunity! The front camera is okay for Skype. I don’t know if there are a lot of people using a 10” tablet for photos but believe me...you won’t see a lot of photos on Instagram with #takenwithmylinx10! Personally I don’t believe what the manufacturers say about battery life. I think they overestimate the battery life. So I won’t tell you what Linx says on the box, but the battery is nothing great - just ok. You can get 4 ½ -5 hours with intense usage. Another negative point is the charging time. It takes forever to charge! My advice: charge your tablet at night! 7. Windows 8.1 with Bing: Is it any good? I am a big fan of Windows 8.1 on a touch screen. I think Microsoft has done something great with the OS. It is perfectly optimised for touch screen. MSN apps work perfectly, Hulu and Netflix are ok. There is no native Youtube app (you can use the excellent Internet Explorer 11) but there are great Youtube apps on the Windows App Store. Basically, there are two worlds with this tablet: the Modern UI world with the colourful live tiles and fully optimised apps for touch screen (by the way I think there are more “tablets optimised” apps for a 10.1 tablet on the Windows Store than on Android). With the Modern UI everything works great. If you are a One Drive and Skype user you will be fine because everything works great. I also really like the Xbox Music app. It’s very simple but works perfectly fine. Then there is the world two: Desktop mode. When Microsoft launched Windows RT, thousands of reviewers and users were complaining about the lack of desktop mode on their tablet or touchscreen laptop. So here are my views: Desktop mode for touchscreen is not great at all, and in fact I use it only a couple of times a day. It is extremely irritating because Desktop apps are not optimised for touch. But I must admit, it is good to have the option. Thanks to the Desktop “world” I have iTunes, Google Chrome and all the Chrome apps I have on my Chromebook. Surprisingly everything works smoothly. I am actually impressed to see that iTunes works fine and that all my Google apps I have on my Chromebook are available. It is not as fast as on my LG Chromebase but almost as fast! At £140, this is one of the best 10” tablets you can buy. It has good/very good performances, Windows 8.1 (especially Modern UI) is snappy and very well optimised for touch screen. There is obviously a lack of apps and games on the Windows App store but you have a great web browser if you can’t get an app. This tablet is full Windows version so you can install other browsers, and enjoy windows legacy programs. The display could have a better resolution, but it is on par with some affordable laptops. However my advice is to buy the Linx Origami Keyboard case with the tablet. In my opinion this is a must have for your tablet, and you will be able to enjoy a great portable experience and your tablet can replace your laptop in some situations. I think this tablet is perfect for students, or for first time tablet buyer. I highly recommend the Linx 10 because for £140 you get a lot for your money. There are better tablets around but not for that price. One last thing….this tablet comes with 1 year Office and will get the update to Windows 10! UPDATE: the new LINX 1010 is even better! Visit AMAZON UK and discover the new version of the LINX 1010. It works with Windows 10 out of the box, it is faster with a Quad-Core Intel Atom processor, 2Gb RAM, 32Gb internal storage. It has an improved IPS display, better battery and much improved speakers! It is available on Amazon UK for only £138. And on offer this Christmas on Amazon, you can get this great bundle: the new Linx 1010 and Keyboard dock for only £149.99!